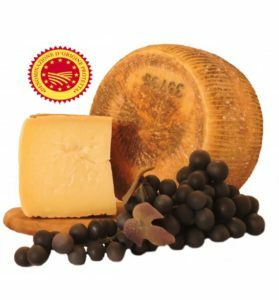 Pecorino di Filiano DOP is a firm cheese from the region of Basilicata made from sheep’s milk which was first granted DOP status in 2007. 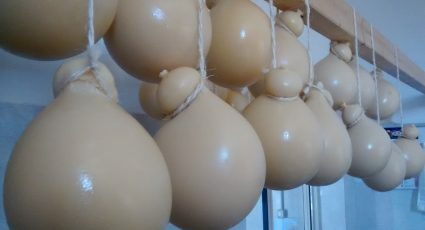 The cheese is produced throughout many communities in the province of Potenza and is the product for which the province is most known for. The cheese is grainy and crumbly and has a white to straw yellow colour on the inside and golden yellow to dark brown exterior. The fresh cheese has a sweet and delicate flavour, while it becomes slightly spicy as it ripens. The cheese is great as a table cheese on its own, or to be grated over pasta, it is typically paired with a full bodied, aged, red wine, such as Aglianico del Vulture DOC.